If someone is having breathing difficulty, call 911 or your local emergency number right away, then: Check the person's airway, breathing, and pulse. If necessary, begin CPR .... 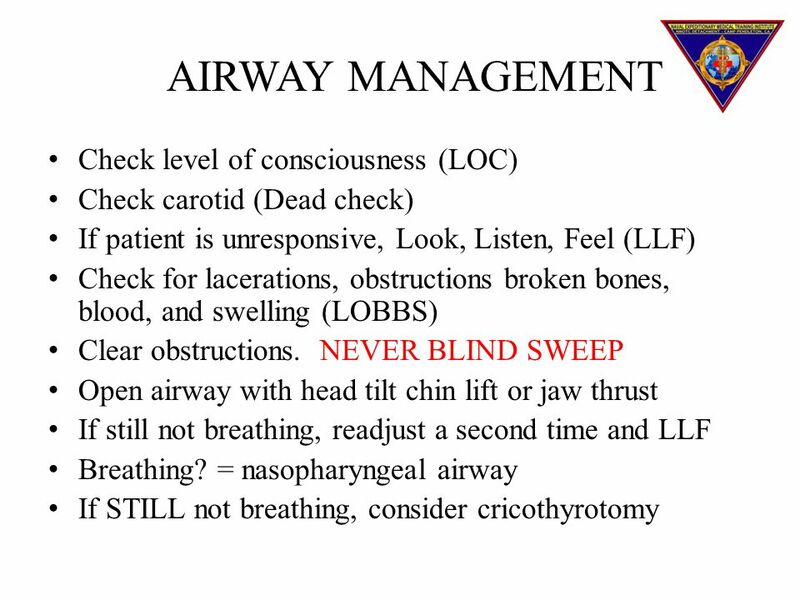 Check for normal breathing, taking no more than 5-10 seconds. 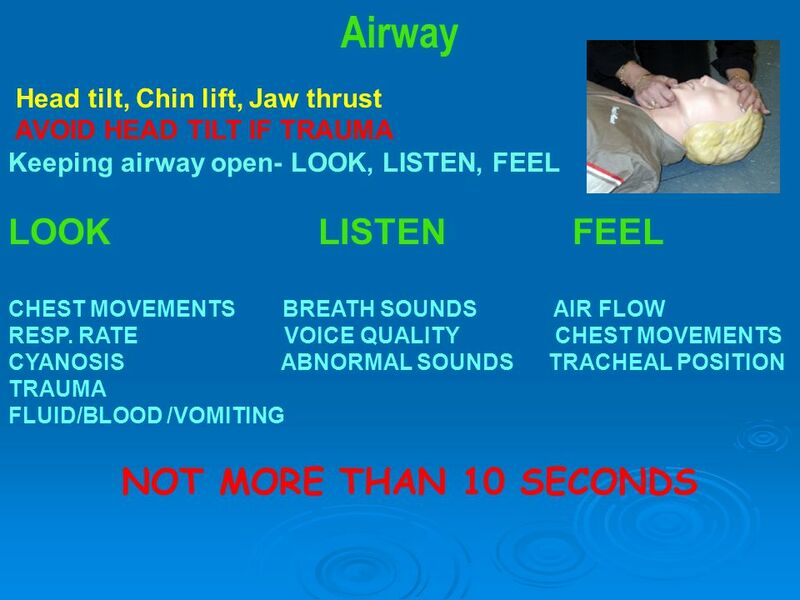 Look for chest motion, listen for normal breath sounds, and feel for the person's breath on your cheek and ear. Look for chest motion, listen for normal breath sounds, and feel for the person's breath on your cheek and ear. 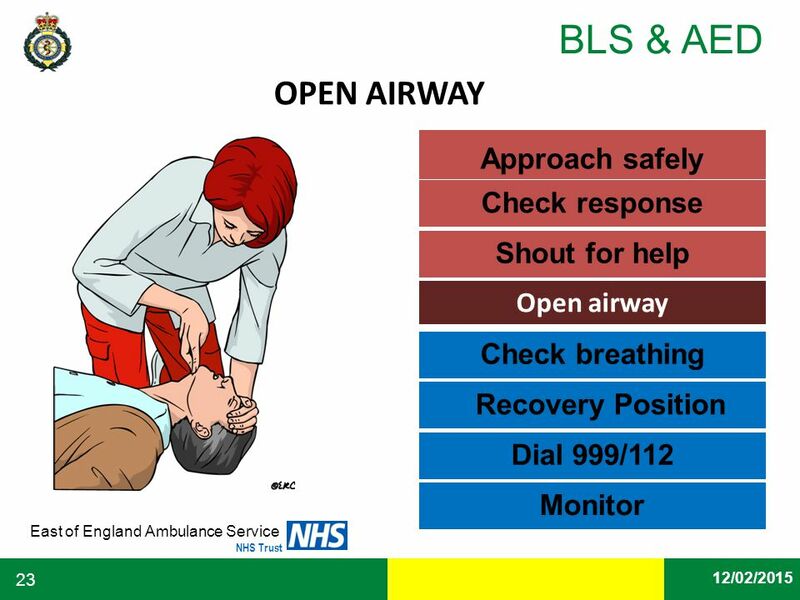 If someone is having breathing difficulty, call 911 or your local emergency number right away, then: Check the person's airway, breathing, and pulse. If necessary, begin CPR . Look, listen, and feel for breathing. Place your ear close to the person's mouth and nose. Watch for chest movement. Feel for breath on your cheek. Place your ear close to the person's mouth and nose.